Retailers — actually, all entrepreneurs — are busier than ever, with most business owners feeling like they don’t have enough time. Research by management consulting company The Alternative Board found that 72% of business managers feel overwhelmed by their roles and responsibilities. Can you relate? If so, then you should make it a priority to free up more time in your business. Doing so will prevent burnout and keep you at the top of your game. When it comes to saving time, one of the first things you should do is evaluate your current processes and find ways to automate manual and cumbersome tasks. In this post, we’ll identify the most common manual processes that are slowing down retailers and offer recommendations on how to streamline them. Effective stock control is an important pillar of retail success, so it’s critical to stay on top of inventory management. A big part of doing that involves counting your products to ensure that your inventory records match the actual items in-store. While it’s difficult to automate the act of physical stock-taking (unless you have robots to help you out), you can streamline the process by using barcode scanner apps and other digital tools in lieu of traditional pen and paper. If you’re already using a POS or inventory management system, ask your vendors about their stock-taking features and see if you can use them in your store. You can also automate the process of reconciling your inventory by syncing your inventory management system with your stock counting solution. Doing so eliminates the manual task of checking items off a clipboard which, in turn, speeds up the reconciliation process and reduces human error. Consumers today are demanding more personalization from brands. Various studies indicate that 62% of consumers are expecting brands to send tailored promotions and 54% of shoppers expect personalized discounts within a day of sharing their details with a retailer. Clearly, people want retailers to offer customized experiences, and in order to win in today’s landscape, you need to be able to personalize how you interact with different customers. Doing that is virtually impossible without automation. Manually collecting customer details or attempting to create marketing campaigns without technology not only takes time, but it’s also a practice that’s incredibly difficult to scale. For this reason, it’s important to arm yourself with an effective customer relationship management (CRM) system that can automate how you interact with customers and manage their details. The right CRM enables you to collect shopper information and segment your customer base easily, so you can build and run personalized campaigns with ease. For best results, integrate your CRM with your point of sale system and e-commerce platform, so sales data and purchase histories can flow smoothly from one system to the next. Retail metrics and KPIs such as inventory turnover, sales revenues, and margins are essential when making decisions in your business. The metrics will help you determine everything from which items to order to what types of promotions to run. And while it’s certainly possible to calculate these metrics on your own, the process eats up your time and opens up room for human error. That’s why, if you’re still manually crunching the numbers in your business, it’s high time to automate the reporting component of your operations. 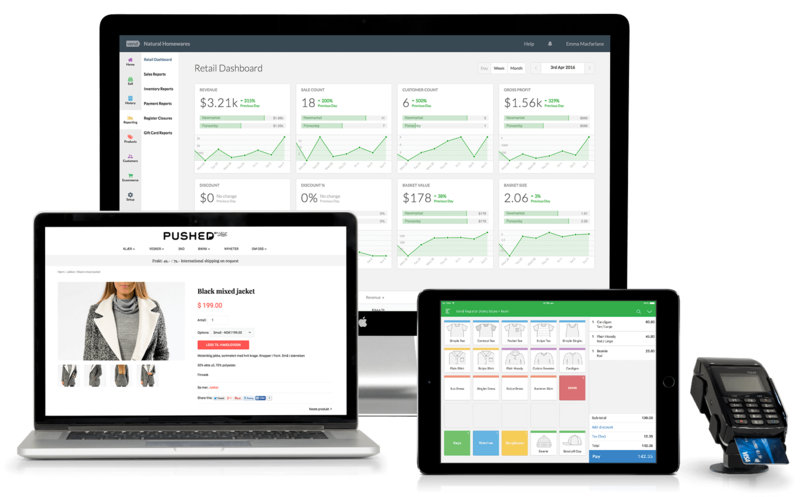 Get yourself a retail analytics solution that can automatically surface the sales, inventory, and customer metrics you need. That way, you can spend less time doing the math and more time making important business decisions. 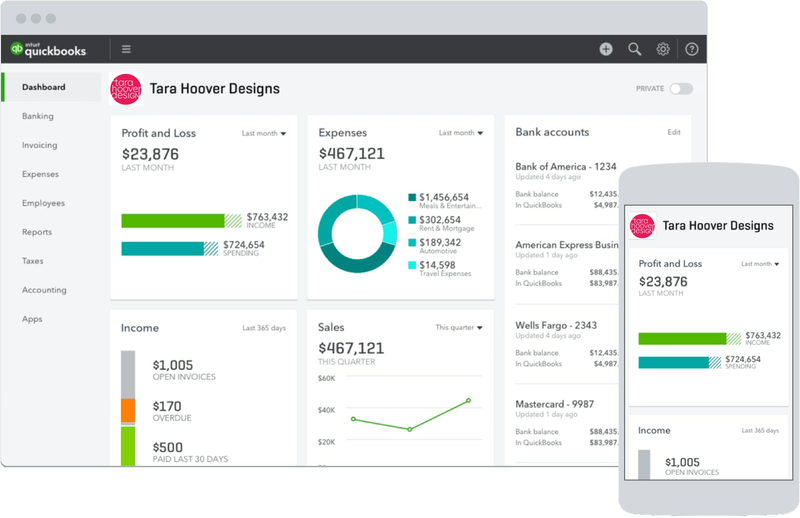 Manually tracking your business income and expenses (not to mention keeping receipts) isn’t just time-consuming, it can also give you a big headache when tax season rolls along. Prevent that by using a handy bookkeeping and accounting software (such as Quickbooks or Xero). Connect the app to your bank accounts and simply categorize your transactions as they come in. Compared to using Excel — or worse, pen and paper — using apps to handle your books makes the task much easier and helps maintain your sanity when it’s time to file your taxes. So, if you haven’t done so yet, start automating your business bookkeeping. Your future self and accountant will thank you for it. Speaking of financials, end of day POS reconciliations is another critical task that works best when automated. Traditionally, the process involves ensuring that the actual payments you received match the recorded payments in your point of sale system. It also helps you track your revenue by payment type (e.g., cash vs. credit card payments). Experts recommend conducting POS reconciliations at least once daily or even after every shift while transactions are still fresh. Payment reconciliations can be quite tasking, even if you already have a great point of sale system. If you’re looking to make the practice much easier, consider implementing integrated payments. Having an integrated payment system means connecting your POS with your credit card processor, so payment data is automatically recorded and matched. This eliminates the need to manually record payment amounts into your POS, thus making the process faster and less prone to errors. The traditional way of conducting retail store audits can be cumbersome, mainly because there are a number of tasks and steps involved in the process. Audits need to be scheduled and coordinated in advance, and district managers are required to visit retail stores so they can check for compliance issues. Then there’s the task of sharing the audit results with relevant parties and making sure that action steps are assigned and carried out properly. As you can see, retail audits have plenty of moving parts and managing everything can take a lot of time and manpower. For this reason, it’s best to automate parts of the process using a robust retail audit solution. Compliant IA, for example, has a number of useful functionalities that can streamline the audit process. 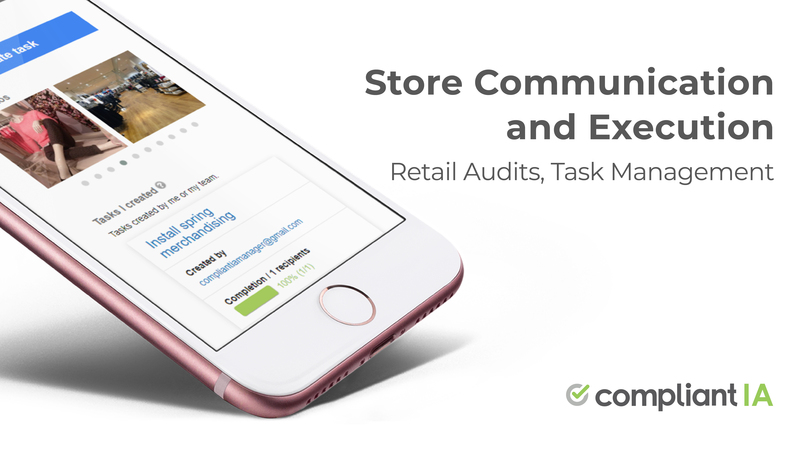 Smart store checklists, task management, photo verification, collaborative calendars and ticket tracking capabilities, Compliant IA’s range of features lets you stay on top of every stage of the store execution and communication process. That’s a lot of information to keep up with and traditional channels like email, phone calls, and text messages don’t have the capabilities to keep everyone in sync. When communication happens across multiple platforms, it’s all too easy for details and messages to slip through the cracks. Channels such as email, SMS, and voice calls also make it difficult to track task completion. Has the new employee seen and read the company store policies? Has the recall been carried out in every store? You can’t get quick answers to these questions if your channels are fragmented. That’s why you should arm your business with a platform that keeps all your communications, documents, and to-dos in one place. There are several cloud solutions that enable you to do this, and certain providers (such as Compliant IA) offer an all-in-one retail solution to handle all your store communication and task management. This post mentions app integrations quite a bit, and for good reason. Connecting your business apps and solutions (e.g., POS, CRM, accounting, store communication etc.) enables you to automate various processes in your business, thus saving time and minimizing errors. That’s why whenever you have the opportunity to connect different applications in your retail business, be sure to do so. Native integrations work best, so if you already have applications in place, see if they have add-ons or partnerships with other solutions that you can use in your business. If that’s not an option, consider using a tool like Zapier, which enables you to connect various apps to automate your workflows. You can also get help from cloud integrators. These are technology experts who can recommend and set up apps and workflows depending on your business needs. Whatever you decide to do, automation and integrations can be a godsend for your business. When used correctly, they can reduce stress, put hours back in your day, and help you run a more efficient retail operation. What tasks or workflows in your business are you automating? Let us know in the comments. Compliant IA is a complete retail execution and store communication platform. It runs on smartphones, tablets, and laptops. 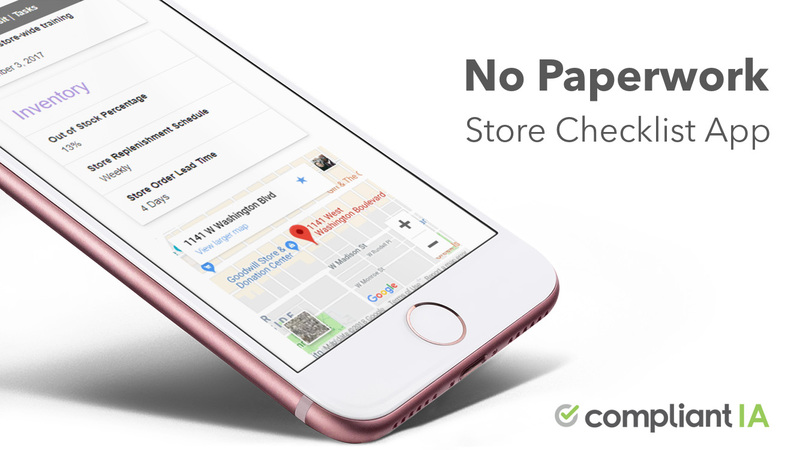 It combines task management, social collaboration, smart checklists, action plans, and photo verification to ensure store programs are communicated and executed in time, in full, in all locations. Francesca Nicasio is a freelance writer and content strategist who’s dedicated to writing about retail trends and tips that help merchants increase sales, improve customer service, and be better retailers overall. Her work has been featured in top retail industry publications including Retail TouchPoints, Street Fight, Retail Customer Experience, VEND, and more. She’s also a featured thought leader on LinkedIn and is followed by over 300,000 professionals on the site.